GemsNY carries ruby rings in all shapes. 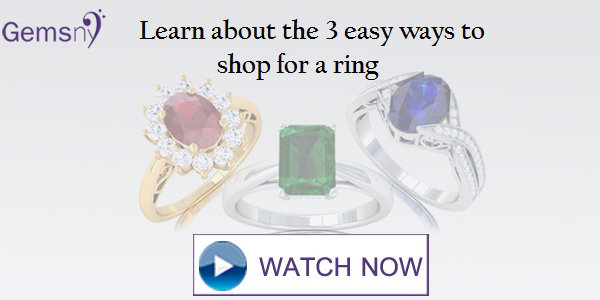 Choose one of the three options below to purchase your perfect ring. 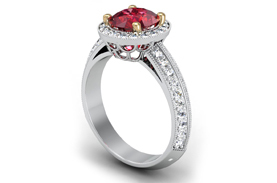 Select from our vast inventory of designer settings and beautiful rubies to create your personalized ring. 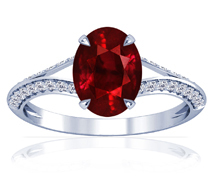 Rubies come in a range of rich colors, from a purplish or pinkish color to a deep pigeon blood red. Ruby and diamond engagement rings are especially striking to look at because of the way the ruby's rich color pops among the sparkling diamonds. 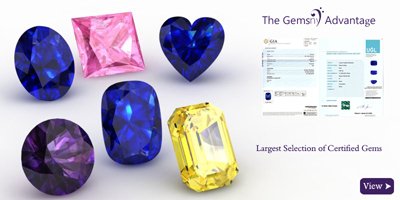 GemsNY offers several options for selecting the perfect ruby or ruby and diamond engagement ring. We offer preset, make your own, and custom ruby engagement rings. 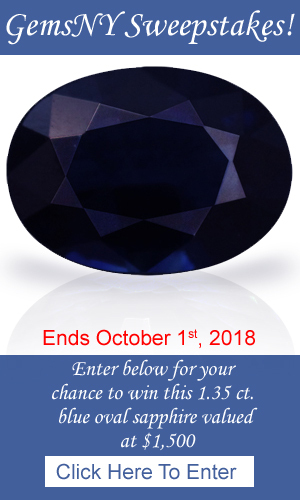 Even the preset rings give you several options: You can choose the setting style, the metal used for the ring, and the shape and carat weight of the center stone. 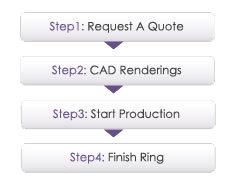 The "Make your own ruby engagement ring" option gives you even more control over the appearance of your ring. And if you still don't find the ring of your dreams or you have a very specific design in mind for your ring, you can choose the "Custom Ruby Engagement Ring" option and we'll work with you to make your imagination a reality. 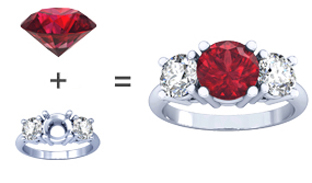 When you buy a ruby or ruby and diamond engagement ring from GemsNY, you're getting the real deal: All of our gemstones are real -- not lab-created or synthetic -- and are certified. 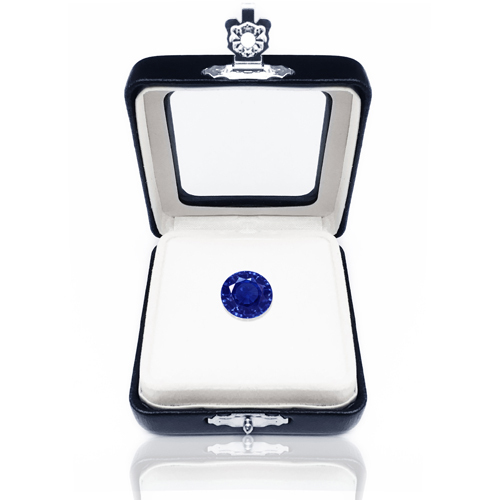 Our gemologists travel to the countries where we source our rubies and other stones, but all of our jewelry is expertly handcrafted in the Diamond District of midtown Manhattan in New York City. GemsNY gives you several reasons to buy your ruby engagement ring from us with confidence: All of our jewelry comes with a free insured shipping, a 30-day no-hassle return policy, a one-year warranty, and an appraisal for insurance purposes. Shop our huge selection of ruby or ruby and diamond engagement rings today, and let the jewelry experts at GemsNY help your fiancee's dreams come true!